” Thanks for 88.5. It changed my life! Please help us continue the work of evangelizing the Catholic Faith by making a financial donation. We thank you for your generosity! Please consider supporting WSFI with a recurring donation each month. Your federally tax exempt donations of any amount are greatly appreciated. Yes, I will be a Founder of WSFI 88.5 FM with a donation of $1000. 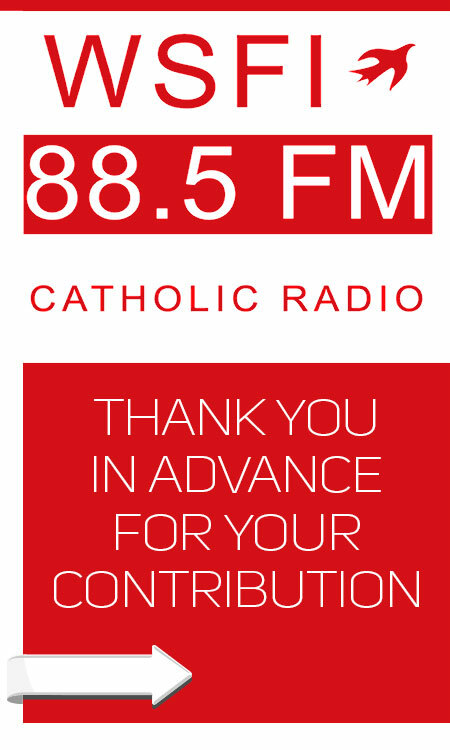 WSFI 88.5 is a program of BVM Helping Hands. Checks or donations should be made payable to BVM Helping Hands for purposes of WSFI FM Catholic Radio.